Hello all! I hope you are having a fantastic week! Happy Thanksgiving to any American readers, I hope you all have a wonderful, safe, and fun-filled long weekend! Today I am sharing a fun little chatty video with you on my current favourite topic: December Daily! In this video I discuss what DD daily is, some common approaches to it, how to get started, and how to stay motivated throughout the month of December. I hope that you find my tips to be useful and please let me know if you have any questions. I would also love to see what you are doing for DD this year, so feel free to leave me a comment linking me to your projects and I will be sure to check them out! Here is a list of everything I discussed in the video if your prefer to see it in written form! Daily prompt style (“what I love about Christmas” ect. There are many other variations and I suggest just doing what you are comfortable and excited about. Buy or create a kit: this will limit the products at your disposal and help to make decisions easier. 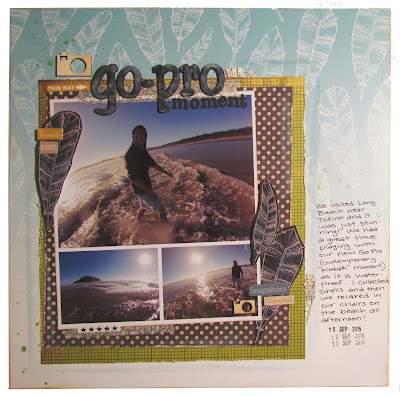 It will also help your album to look a bit more cohesive and thoughtful. Organize your kit: I use an Iris container and an embellishment box. This will help you to easily find everything when you need it. Print at home: It is a really good idea to do this (even for completing a few days at a time) because it saves so much time and not wanting to go all the way to the print shop can become an easy excuse to fall behind. Be excited about December Daily! Follow people who are working on it too and let their pages inspire you. Get the family involved: have them save tickets, take pictures of themselves, and encourage them to get in the Christmas spirit. Do fun things: I always find that I am more willing to go out and do fun things in December because I want to put it in my album! If you have exciting events to go to, you will want to document them. On days that there is nothing going on: this is where I do occasionally follow prompts. Journal about your favourite holiday traditions or memories, even if there is no picture to go along with it. If (when) you do fall behind: keep a simple record of what you want to document for each day in your planner or on a list and remember, you can always "catch up"! Many people work on it for several months following December. o Despite this, I still prefer to finish soon after December ends because I love flipping through it and seeing everything right away. I also do not like leaving a project unfinished. Hello all, I hope your week has started of well! I am currently on my way to Manitoba for my grandma's funeral (as I mentioned yesterday) and have scheduled this post as well as a video. Despite these hard times, I still wanted to share my December Daily Stash Kit for this year. As mentioned in the video, I am using Jasmine Jones' December Daily Kit, some things from my stash, and a few new things. I hope this inspires you to gather some of your favourite things and take part in this awesome project. If you haven't heard of December Daily before, check out Ali Edwards' video. I will also be recording a video discussing the project and some of the ways I keep myself motivated throughout the month to continue the album. I should have this uploaded sometime next week. It is with sadness that I will be traveling to Manitoba tomorrow. My grandma passed away this weekend and her funeral is on Thursday. She battled Alzheimer's for many years and it is a relief that she has gone home to heaven and is comfortable again, but we are all still grieving for this loss anyway. These pictures are from my grandparent's 2011 trip out to Alberta, Grandma's last trip anywhere. They bring back wonderful and happy memories, which are the ones i want to hold on to. I will miss her deeply. Her mind has been gone for awhile already, though that does not seem to make this any easier. I am scheduling a video and blog post for tomorrow where I will reveal my stash kit for this year's December Daily. I hope that you are able to check it out! Hello all and happy Thursday! I thought I would take advantage of "#tbt" (throwback Thursday) and share my excitement for the upcoming Christmas season! This week I got started making my December Daily (DD) kit and even made the cover and the first page for my album! In the video at the end of this post I share my previous 3 years of DD and go through 2013 in more detail because I never got around to posting that one! Here is the cover I created for my 2015 DD. I will be binding it with my cinch at the end of December when the pages are complete, but for now I am using red binder rings to hold it together. I am loving the enamel stars from the Jasmine Jones kit, those will be gone in no time! Here is the first page I created using the Simple Stories Snap pocket pages. I am thinking of it as my intro page (though in reality I was just way too excited to start and had to cut up some of the pretty papers!). I created this banner by cutting the points off of a star die cut! I was pretty pleased with myself. I am hoping to incorporate all kinds of stars into my DD. This Creative Memories punch should help with that! 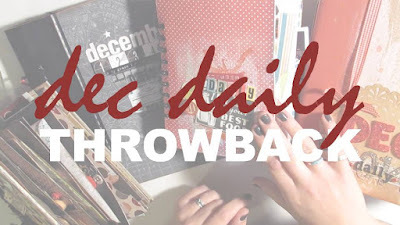 Dont Forget to check out the video to see my throwback DD albums! Chipboard Cover: 7 1/8" X 9"
Inside Paper: Stay Beautiful Feather "Mint"
Thank you so much for stopping by today. I hope you are getting as excited for December as I am! 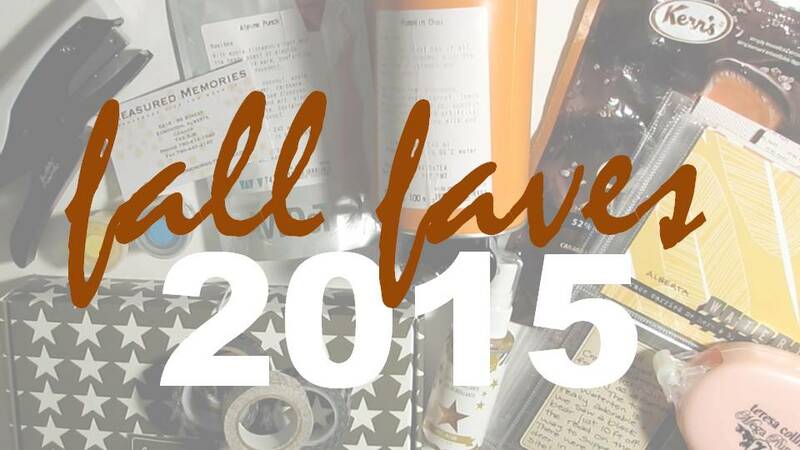 It isn't really fall here anymore, though technically the last day is December 20th I believe, but this season I wanted to share some of my favourite scrapbooking items, home decor pieces, food items, and nail polishes. I have loved all of these items this season and I think it will make a great record when I look back on it. I hope you enjoy! Thank you for stopping by! I hope that wherever you are you are enjoying the season and getting creative! Happy November all! I hope you had a wonderful and safe Halloween weekend. Here in Calgary the snow held off and we had quite a warm (for this time of year) evening for the young trick or treaters. Last night and today we got our first snowfall of the season, which is quite late compared to normal. Though I was very excited to see the snow, (I happily went for a walk this morning and took some pictures - see the end of this post) I would like to share this fun and summery layout from our trip to Vancouver Island back in September. I am also uploading a process video, so check my Youtube later today to see that! We really enjoyed using our new Go Pro camera on the trip and it was super fun to play with in the ocean! The title is a play on the classic "Kodak Moment" saying. The back feathers are cut from my free printable from my Just Print It series, Week Three. The background paper is one that I designed and, though it is not available yet, I am thinking of setting up a digital shop to sell some of my designs in. Keep your eyes peeled for more upcoming news on that and please let me know what you think of this idea. If you have any technology advice or resources, I would really appreciate any help! Here are a few more close-ups! Here is what our first snow of the year looks like! It amazes me that the landscape can turn from brownish green to pure white in a matter of hours! Thanks for stopping by! I hope you have a wonderful week ahead!